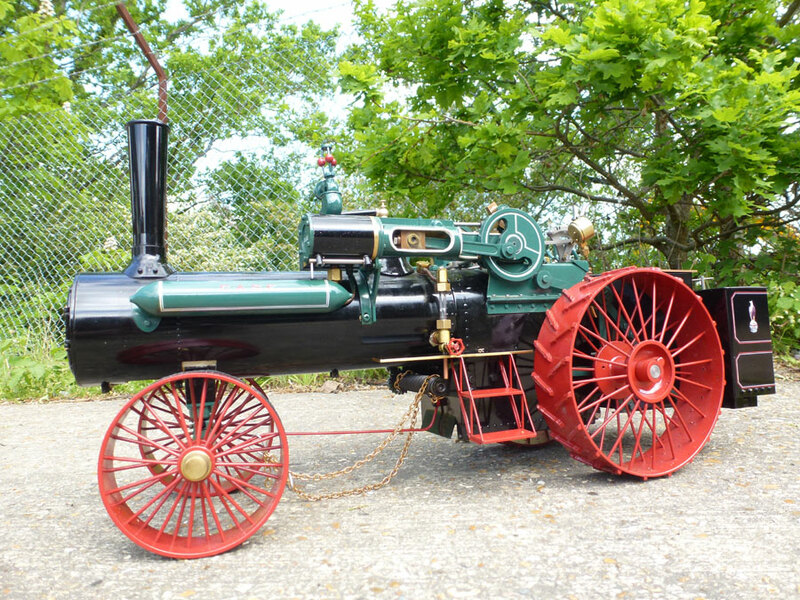 It is rare to see one of these come up on the second-hand market, let alone in this nice condition. 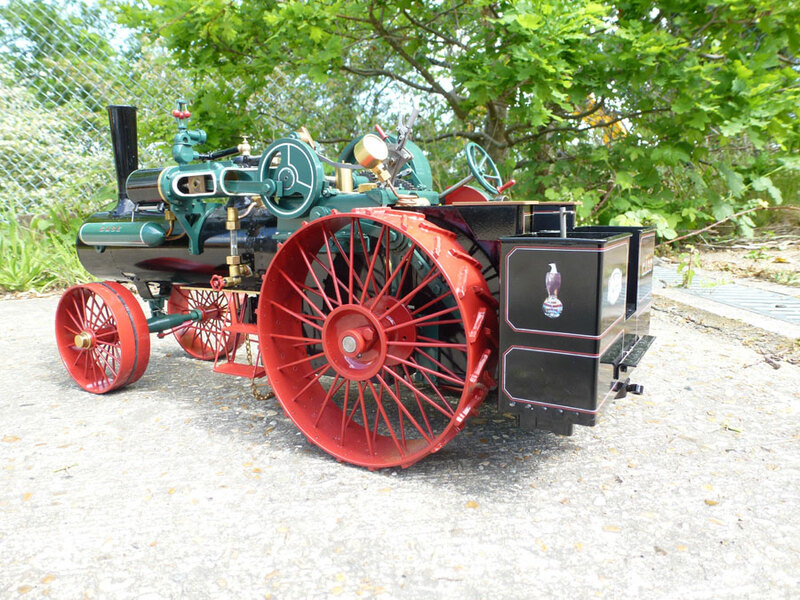 This beautiful example of the Case traction engine was originally produced by us and has been lovingly cared for by its previous owner. 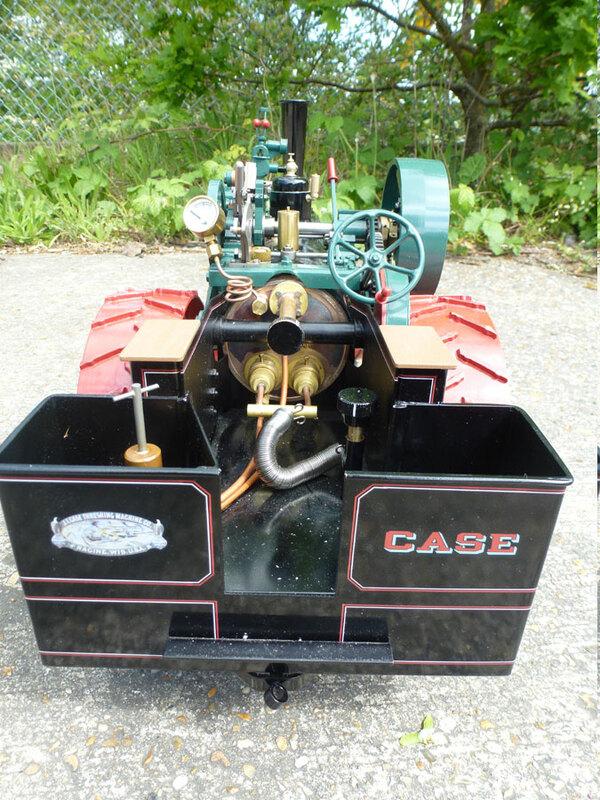 Runs nicely in both directions (Please see the attached YouTube clip) and seems to be in good shape. 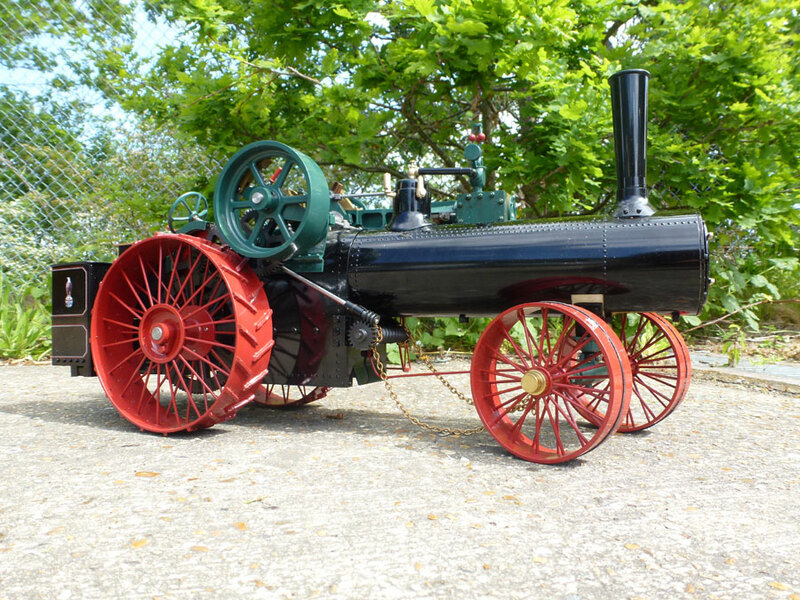 This model is based on the traction engines produced by the Case company in the USA. 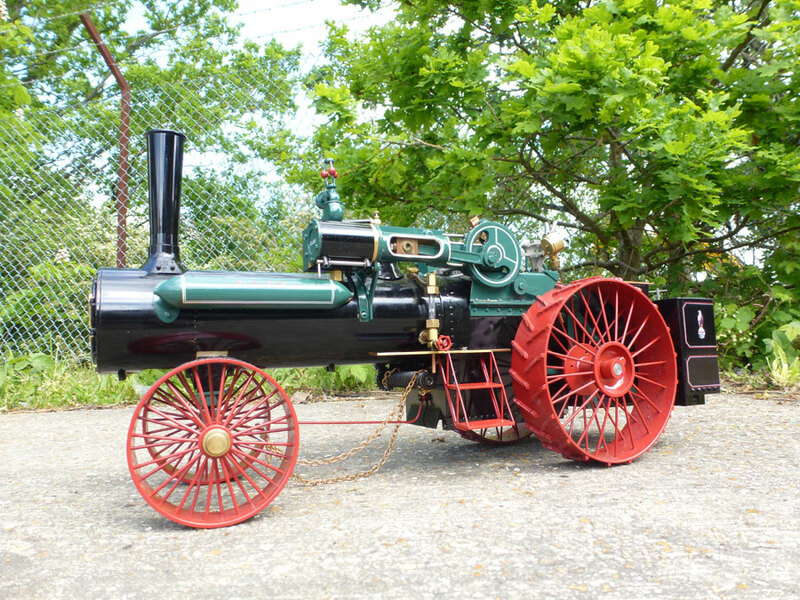 These engines were built from the mid-1800s to the early 1900s and are typical of the style used by many American manufacturers. 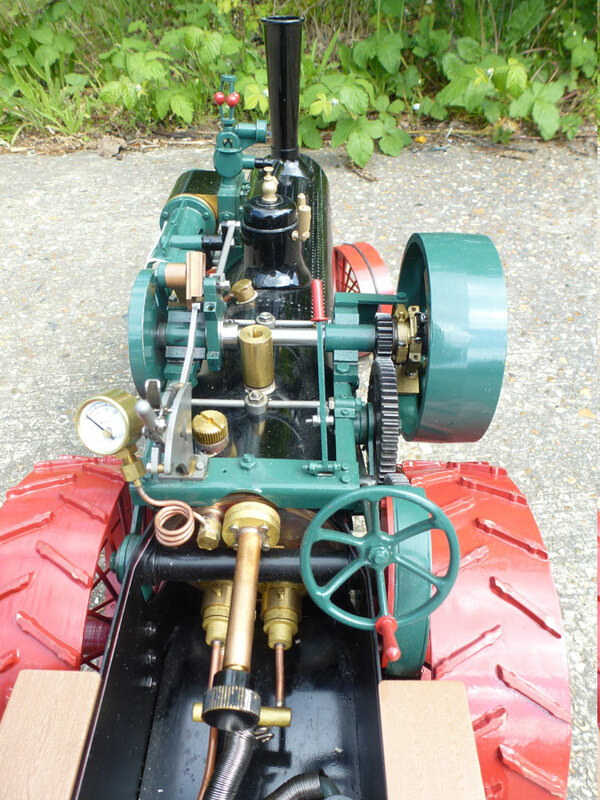 It has a single cylinder mounted on a cast frame and a constant mesh gear drive with a clutch mechanism built into the flywheel. There is full spring suspension on the rear axle with the gears kept in alignment by a swing link system. 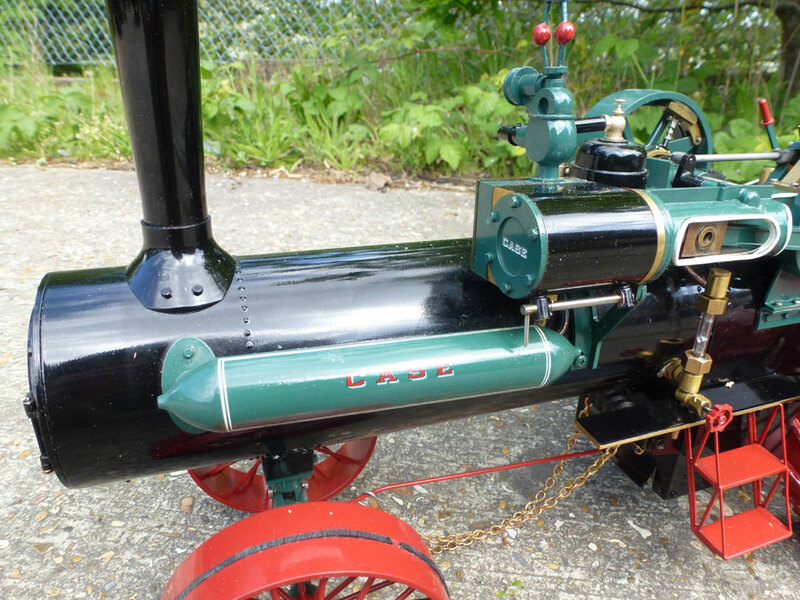 The model is gas fired with twin flue burners and superheater.